Can Cities Reach the Zero Waste Goal? 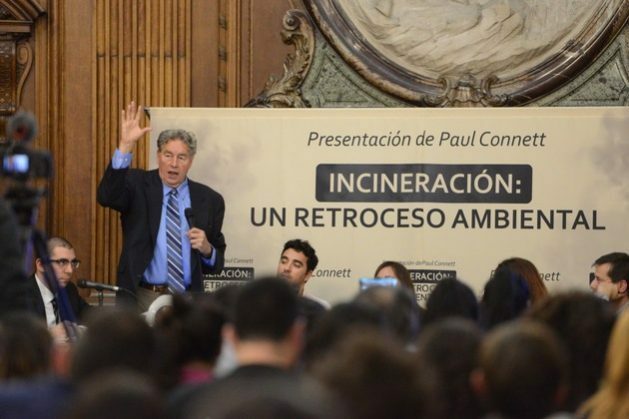 Connett was in Buenos Aires to discuss his views on the subject, while in the Argentine capital a harsh debate is taking place around the issue of garbage. “The goal of zero waste can be achieved with a combination of factors that would allow the transition from a linear to a circular economy: community involvement and corporate responsibility,” Connett told IPS. “Society must separate its waste, which must be removed door to door. And it has to tell industry: if we cannot recycle, reuse or compost what you make, you have to stop making it. We need better industrial design for the 21st century,” he told IPS. Connett, who grew up in England and lives in the United States, is a graduate of the University of Cambridge in the UK who has specialised in waste management for more than 20 years and has been on speaking tours in more than 60 countries. He was invited to Argentina by environmental watchdog Greenpeace, one of the civil society organisations that in recent months have questioned the decision taken this year by the City of Buenos Aires Legislature to once again allow waste incineration, which had been banned. The Argentine capital thus closes in a curious way a circle which began to be traced in November 2005, when the local legislature passed the Law for the Integral Management of Solid Urban Waste, seen at the time as pathbreaking and known as the “Zero Waste” law. That law set phased targets for reducing the amounts of waste sent to landfills on the outskirts of the city until reaching a point where no waste would go to dumps by 2020. However, in the years that followed, plans to implement waste separation and recycling failed miserably, to the point that the amount of garbage not only did not decrease, but actually grew: from 1,492,867 tons sent by Buenos Aires to landfills in 2004, to 2,086,740 tons in 2012, according to official figures. After that, the waste generated by the city did begin to shrink, although far from the targets set by the law: in 2017, 1,101,203 tons went into landfills, compared to the target of 373,217 tons set by the law. The Argentine capital proper is home to three million people, but the population of Greater Buenos Aires is 15 million, representing 34 percent of this South American country’s 44 million inhabitants. “City authorities have done virtually nothing to reduce the amount of garbage sent for disposal. If there has been a reduction in recent years, it is thanks to the work of the ‘cartoneros’,” Leonel Mingo, campaign coordinator for Greenpeace Argentina, told IPS. 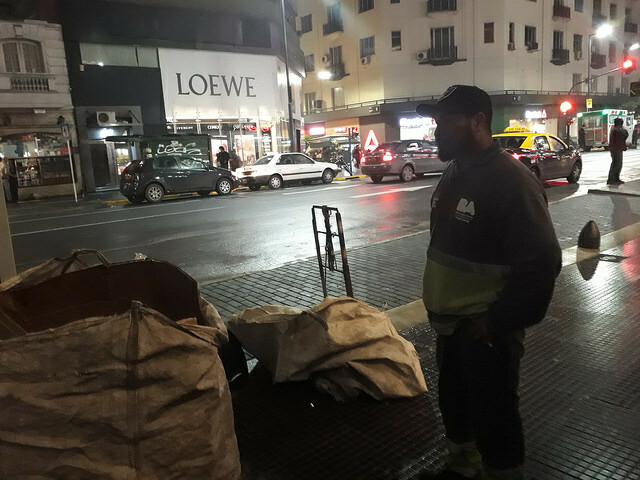 ‘Cartoneros’ or waste pickers are people excluded from the labour market who pull their carts around cities at night in search of cardboard or other waste materials that they can resell. 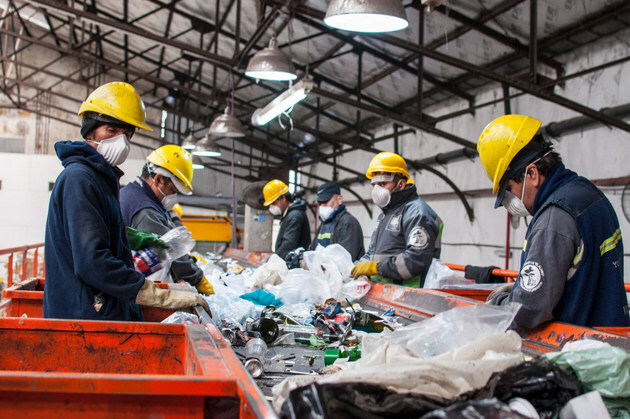 The Buenos Aires city government gave formal status to more than 5,000 cartoneros, as recyclers grouped in 12 cooperatives. Today they wear uniforms and have health coverage. Some of them separate their waste in the four state-run green centres. However, it is estimated that the number of cartoneros is more than double that figure, since many of them fell outside the government quotas and still work in the informal sector. It is precisely the cartoneros who are at the forefront of the fight against waste incineration, because they are afraid of losing their livelihood. “We play an important role and we will defend our rights. There are 12,000 cartoneros and we have the capacity to guarantee that recycling complies with the Zero Waste law. We are not going to allow incineration,” a waste picker, Jacqueline Flores, told IPS. In May, the city legislature amended the Zero Waste law, relaxing waste reduction targets and authorising incineration. It was Mayor Horacio Rodríguez Larreta – of conservative President Mauricio Macri’s Cambiemos alliance – who pushed for the modification of the law and said that waste-to-energy plants would be installed. 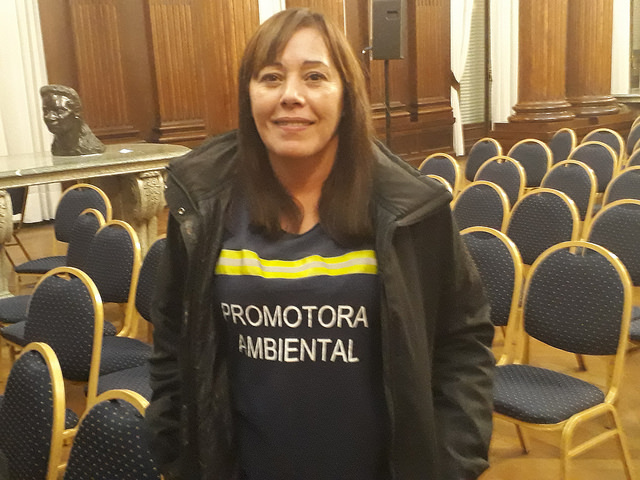 However, the plan is now shrouded in uncertainty, since a judge suspended the implementation of the law in June when she accepted a joint proposal from cartoneros cooperatives and environmental organisations, which argued that incineration would pollute the air in Buenos Aires. The court decision was appealed by the mayor and a final decision is pending. “Like Buenos Aires, many large Latin American cities have problems with garbage, which politicians don’t know how to solve. You have to be stupid or corrupt to build an incinerator,” Connett said. He told IPS that various Latin American countries, due to their large land areas, have great potential for reducing waste. “A big city should export organic waste to rural areas, where it should be composted and used in agriculture,” Connett said. “In turn, recyclable waste should be sent from the countryside to the city, where it can be recycled because there are many people who can benefit from this work,” he added. The expert cited successful examples from the United States and Europe. One of them is San Francisco, California which has managed to reduce the amount of waste sent to final disposal by 80 percent. One of the key factors for this was the installation of a composting plant 70 km from the city that receives organic waste and converts it into fertilisers that are used by more than 200 vineyards in the area. “I am the walking circular economy,” Connett said during his lecture in the city legislature, saying he paid just six dollars for the jacket he was wearing, made from recycled materials. The circular economy is based on replacing the model based on producing-consuming-wasting with that of producing-consuming-recycling. He also spoke in favour of fines for those who generate waste that cannot be reused or recycled. There is the expert theoretical proposal and then there is the practician practical means. Ideals are all very good on paper, but the actual implementation is the deal. What is to be done with the billions of vehicle tyres aside from reuse in roadworks with the obvious dangers of runoff intensification? What is to be done with corroded metals whose presence on the ground is potentially lethal poison? The cost of waste collection has risen astronomically that general waste accumulates by the roadside before collection- and that is in the well-managed European cities. Pests presence are clear prove of this. There is a not so insane way to solve the waste matter- generating energy!